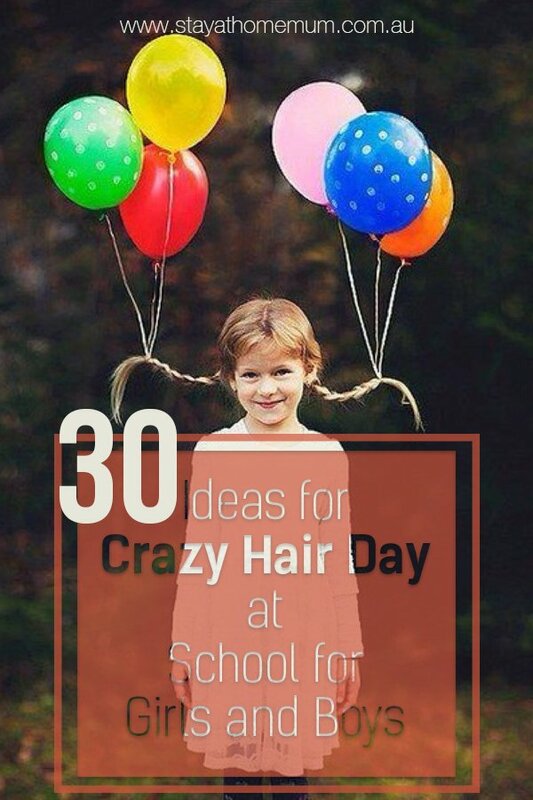 30 Ideas for Crazy Hair Day at SchoolQuirky, creative, and crazy!!! If you think you’re having a bad hair day– these crazy hairstyles will make you think again! 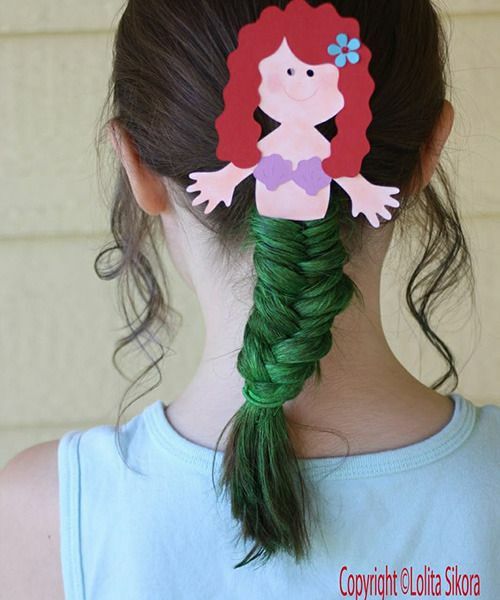 This hairstyle has taken the “fishtail’ quite literally! Just place a cut-out for the body and add color to the tail with a green tint and now you’re good to go! “There is always a rainbow after the rain”, but not for this little lady! 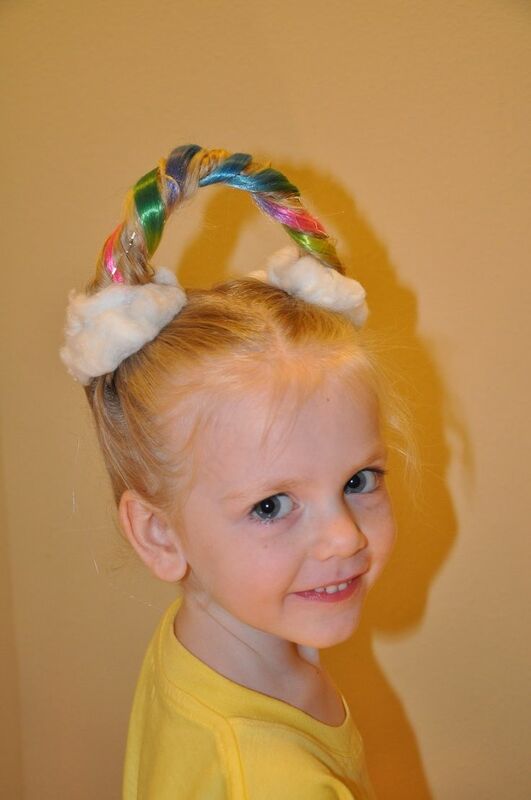 The ponytail is bent to the side forming an arch and to complete the imagery, the cotton serves as the clouds and a series of coloured hair strips are tied in spiral in the ponytail. 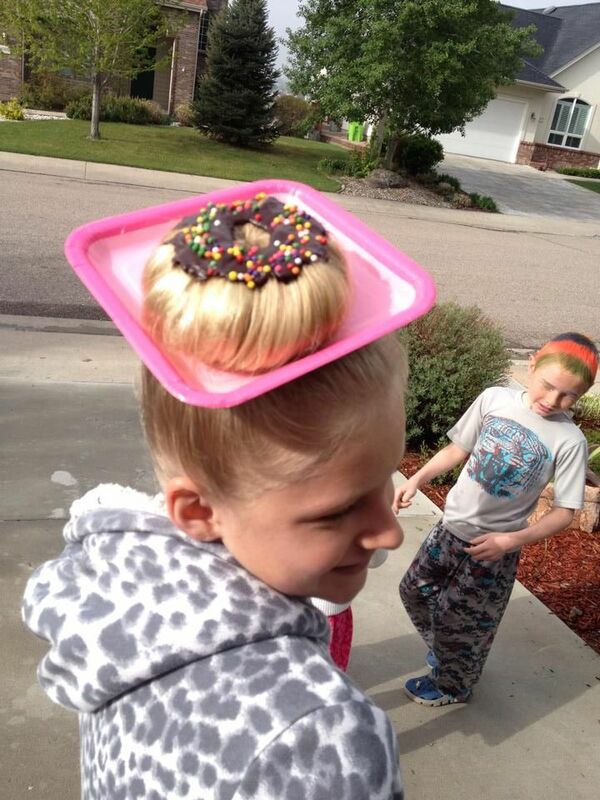 The hair is shaped into a bun and underneath, locked with a square-shaped plate, topped with a sprinkled chocolate glaze accessory. Breakfast is now served!